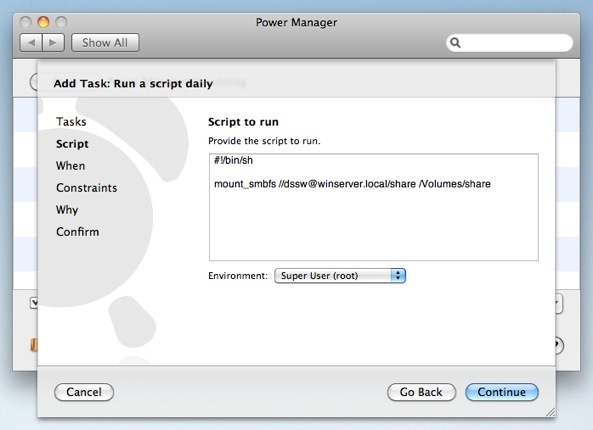 Power Manager can be used to automatically run a shell script each day. 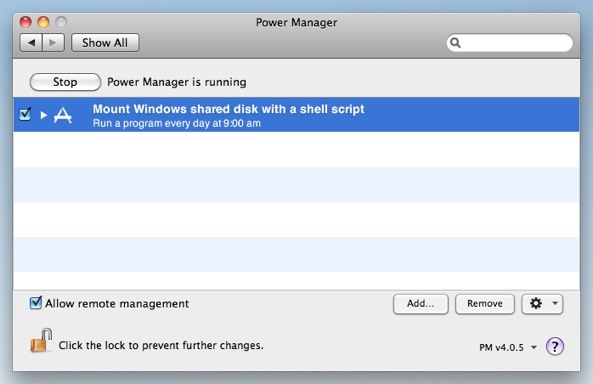 Shell scripts can be used to perform tasks that are difficult, or impossible, to achieve using the graphical Mac OS X interface. Let's walk through how to schedule a shell script to run once a day. Our shell script will mount a shared disk hosted on a Windows computer. Copy and paste your shell script into the Script step. The shell script can be run as the root user, as a normal user, or even as whoever is currently logged in at the time. For this script, we have set the Environment to Super User (root). Adjust the time and days to read 9:00, with Monday through Sunday selected. With these steps completed, your shell script is now ready. 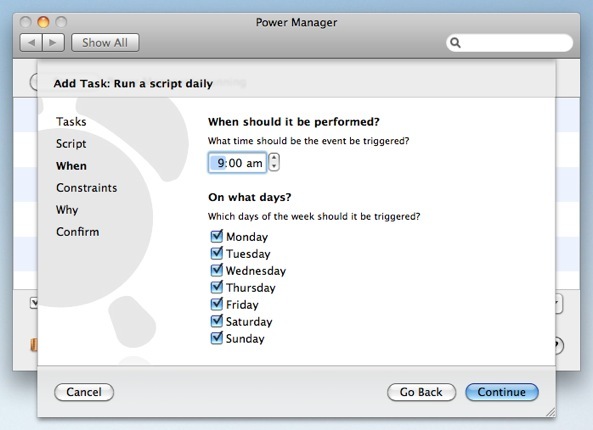 Power Manager will perform the event and run your script once each day at 9:00. 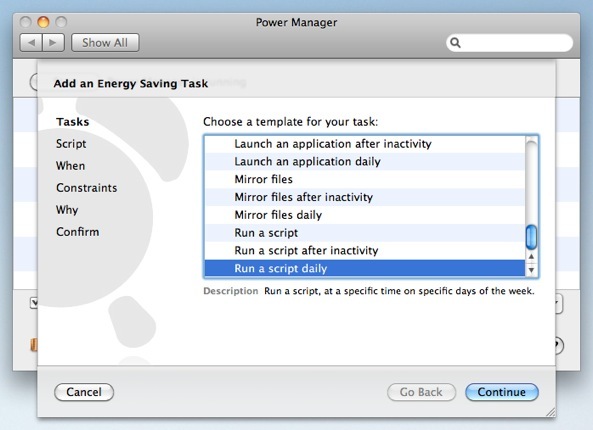 If needed, Power Manager will automatically wake up your Mac in order to perform your daily shell script. 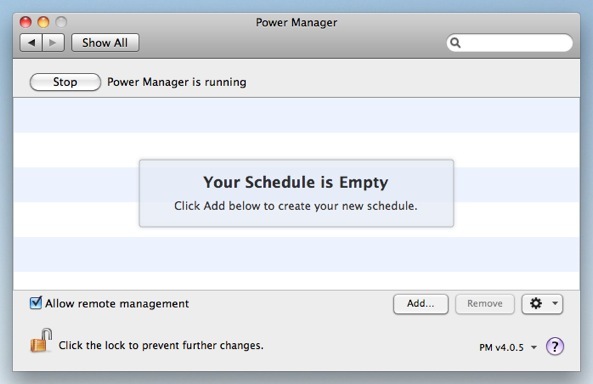 This article was posted in PM4, Power Manager, and Recipe and tagged Power Manager, recipe, and shell script.